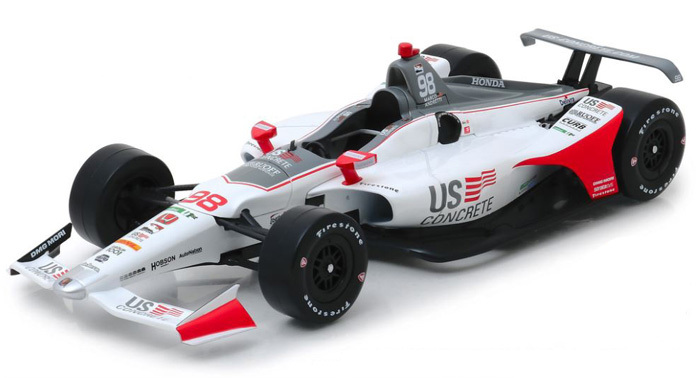 2019 Marco Andretti #98 US Concrete / Honda NTT IndyCar Series 1/64 diecast, by GreenLight. 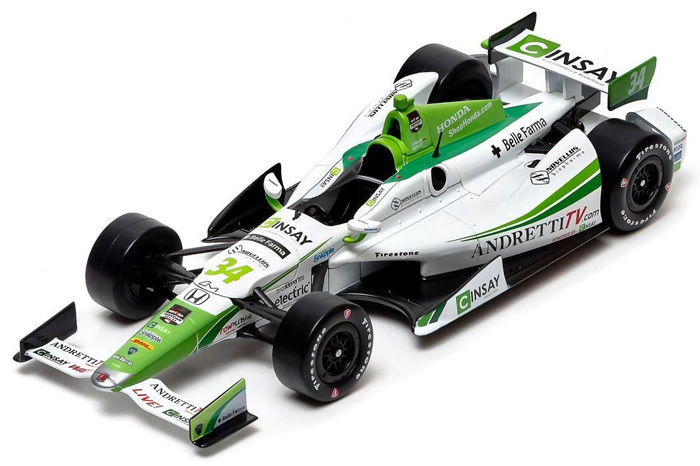 The Andretti Autosport #98 US Concrete Honda will be raced by Marco Andretti during the 2019 NTT IndyCar Series season. 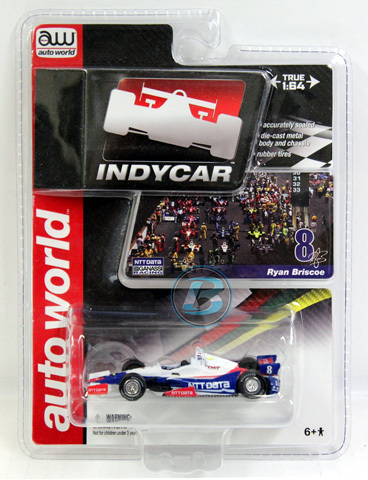 2014 Ryan Briscoe #8 NTT Data / Chevrolet IndyCar Series diecast, by Auto World Authentics. 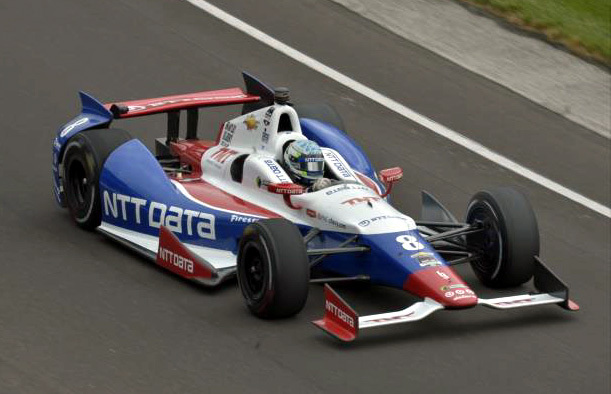 The Chip Ganassi Racing #8 NTT Data Dallara Chevrolet was raced by Ryan Briscoe during the 2014 Verizon IndyCar Series season. These diecast IndyCars feature a metal body and chassis, and rubber tires. 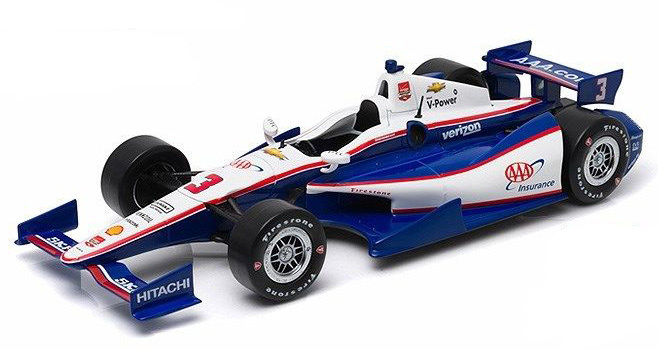 2015 Helio Castroneves #3 AAA Dallara Chevrolet IndyCar Series diecast, by GreenLight. The Team Penske Racing #3 AAA Dallara Chevrolet was raced by Helio Castroneves during the 2015 Verizon IndyCar Series season. 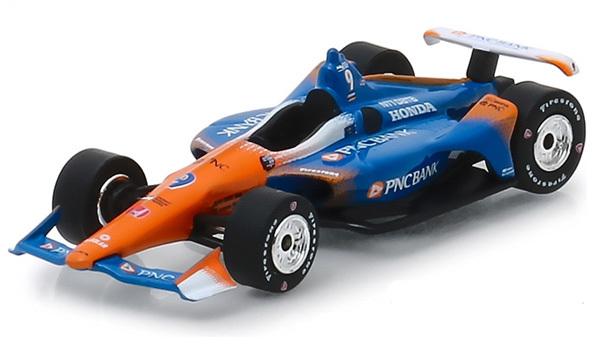 2019 Scott Dixon #9 PNC Bank / Honda NTT IndyCar Series 1/64 diecast, by GreenLight. 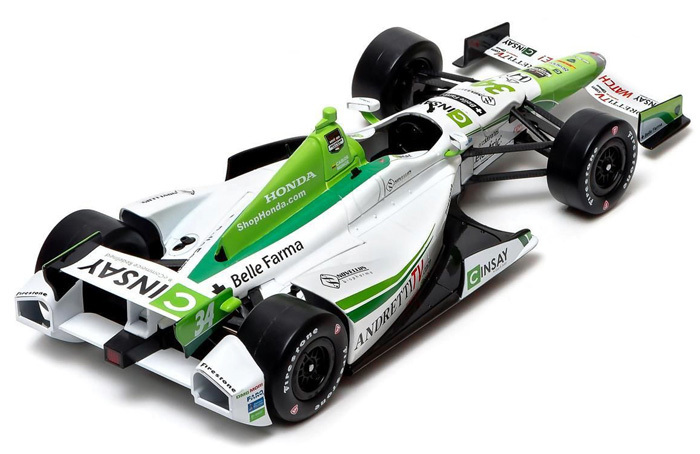 The Chip Ganassi Racing #9 PNC Bank Honda will be raced by Scott Dixon during the 2019 NTT IndyCar Series season. 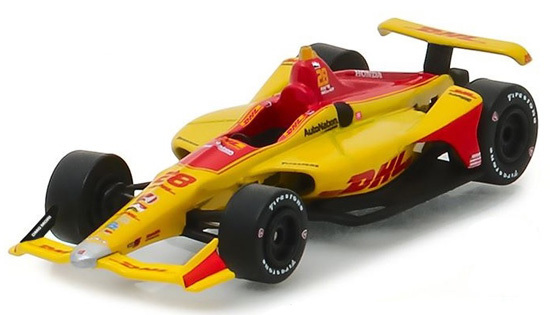 2019 Ryan Hunter-Reay #28 DHL / Honda NTT IndyCar Series 1/64 diecast, by GreenLight. The Andretti Autosport #28 DHL Honda will be raced by Ryan Hunter-Reay during the 2019 NTT IndyCar Series season. 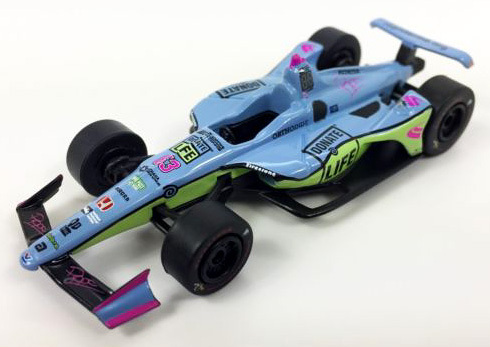 2018 Pippa Mann #63 Donate Life "Signature Edition" / Honda IndyCar Series diecast, by GreenLight. Pippa Mann attempted to qualify this Dale Coyne Racing #63 Donate Life Honda Verizon IndyCar in the 102nd running of the Indianapolis 500. 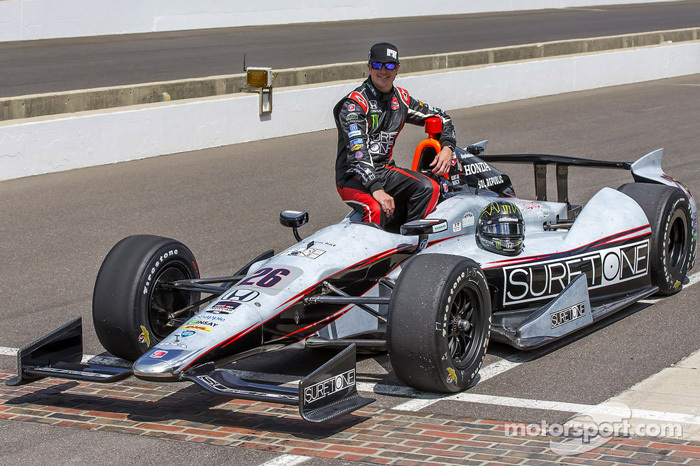 Mann’s best result in the Indy 500 came last year finishing 17th. 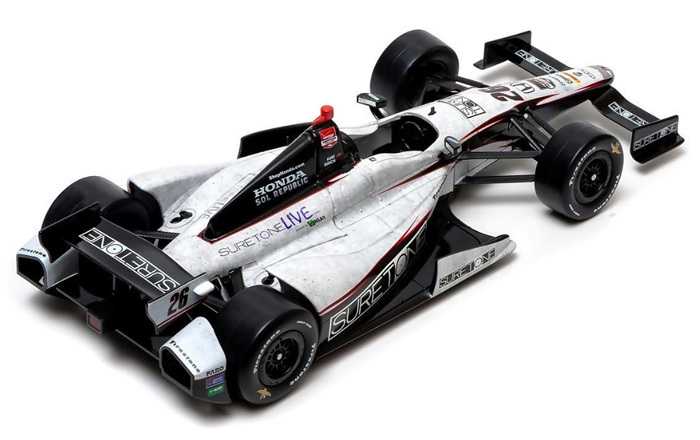 2019 Josef Newgarden #2 Hitachi / Chevrolet NTT IndyCar Series 1/64 diecast, by GreenLight. 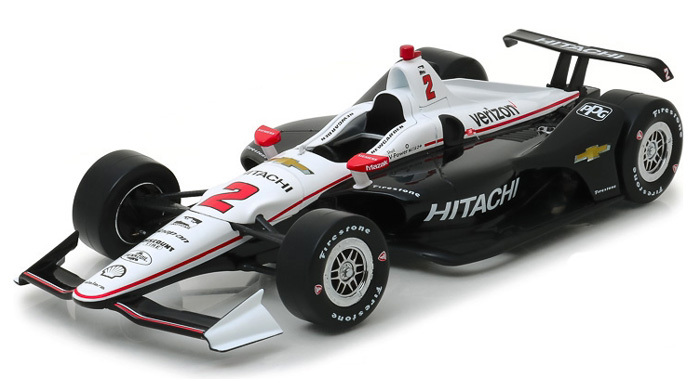 The Team Penske #2 Hitachi Chevrolet will be raced by Josef Newgarden during the 2019 NTT IndyCar Series season. 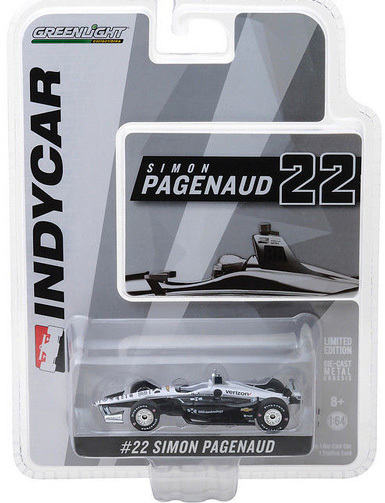 2018 Simon Pagenaud #22 DXC Technology / Chevrolet IndyCar Series diecast, by GreenLight. The Team Penske #22 DXC Technology Chevrolet was raced by Simon Pagenaud during the 2018 Verizon IndyCar Series season. 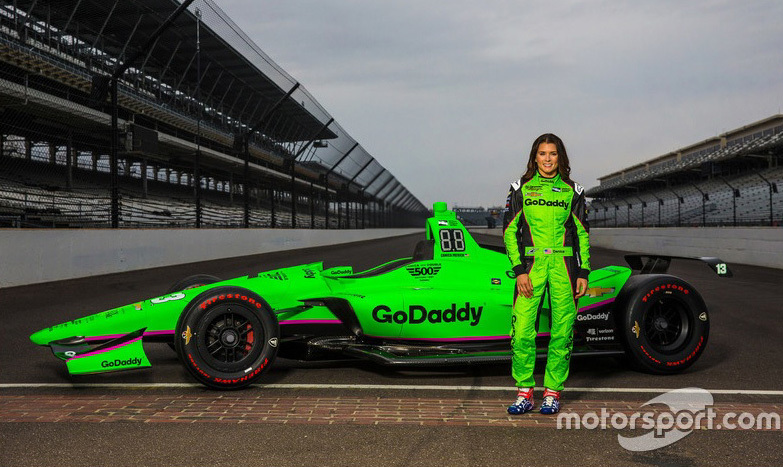 2018 Danica Patrick #13 GoDaddy / Indy 500 / Chevrolet IndyCar Series 1/18 diecast, by GreenLight. The Ed Carpenter Racing #13 GoDaddy Chevrolet was raced by Danica Patrick in the Verizon IndyCar Series 102nd Running of the Indianapolis 500 at Indianapolis Motor Speedway on May 27, 2018. 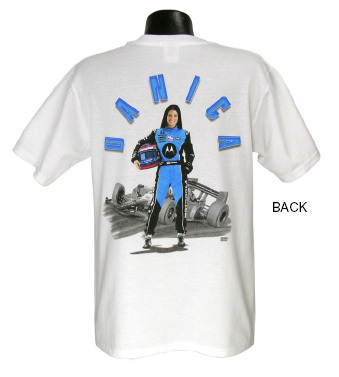 This was Danica Patrick's Last and Final Race! 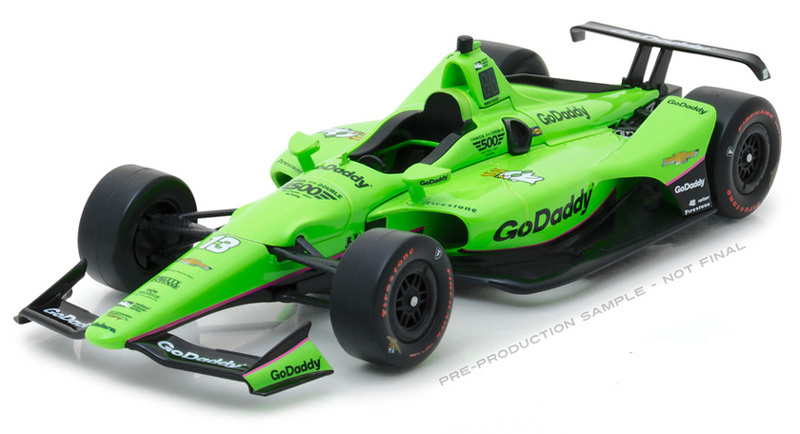 Actual size is 11" x 4.5"
2018 Danica Patrick #13 GoDaddy / Indy 500 / Chevrolet IndyCar Series diecast, by GreenLight. The Ed Carpenter Racing #13 GoDaddy Chevrolet was raced by Danica Patrick in the Verizon IndyCar Series 102nd Running of the Indianapolis 500 at Indianapolis Motor Speedway on May 27, 2018. This was Danica Patrick's Last and Final Race! 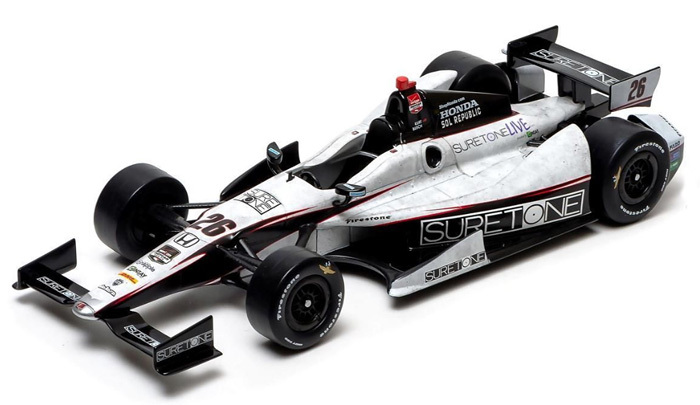 2019 Will Power #12 Verizon / Chevrolet NTT IndyCar Series 1/64 diecast, by GreenLight. The Team Penske #12 Verizon Chevrolet will be raced by Will Power during the 2019 NTT IndyCar Series season. 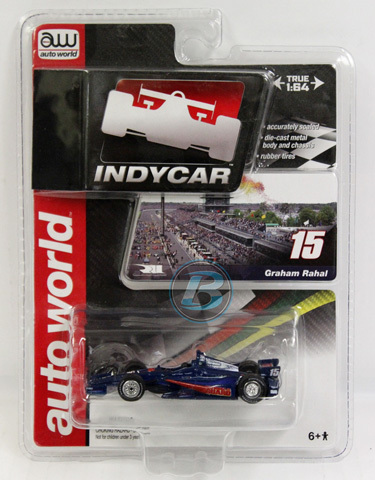 2014 Graham Rahal #15 National Guard / Honda IndyCar Series diecast, by Auto World Authentics. 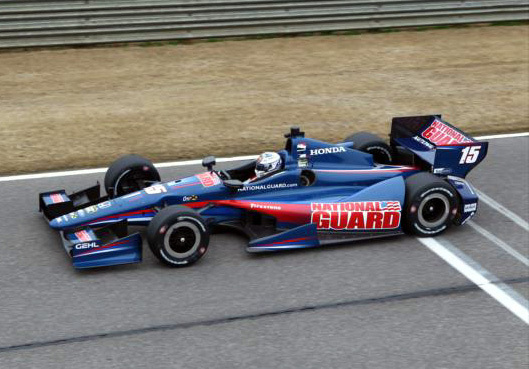 The Rahal Letterman Lanigan Racing #15 National Guard Dallara Honda was raced by Graham Rahal during the 2014 Verizon IndyCar Series season. These diecast IndyCars feature a metal body and chassis, and rubber tires. 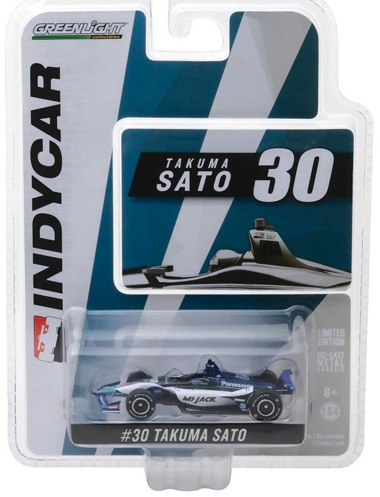 2018 Takuma Sato #30 Mi-Jack / Honda IndyCar Series diecast, by GreenLight. 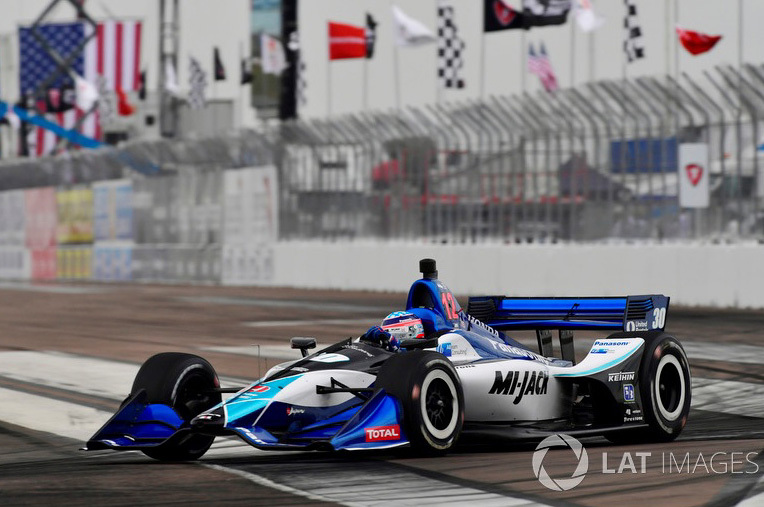 The Rahal Letterman Lanigan Racing #30 Mi-Jack Honda was raced by Takuma Sato during the 2018 Verizon IndyCar Series season.